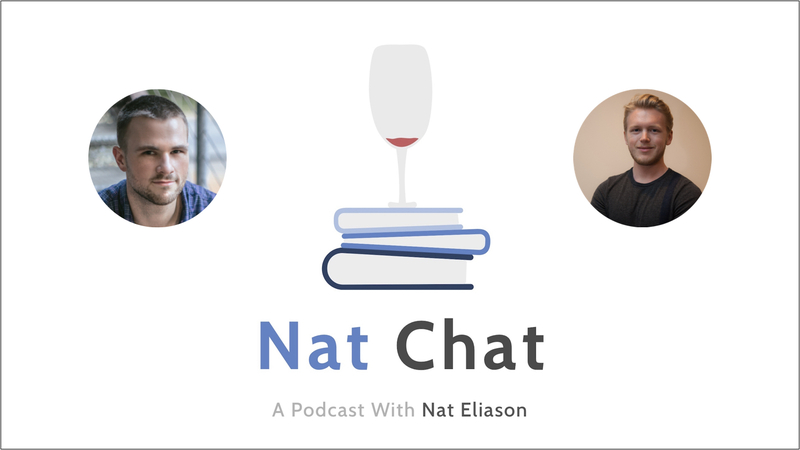 In this episode of Nat Chat, we have Taylor Pearson, author of The End of Jobs and writer on business, psychology, philosophy, and other related topics on his site taylorpearson.me. Taylor is a super-smart, young guy, who I wanted to bring on because he has a very interesting history and set of experiences that are relevant to anyone looking to pursue a non-traditional college path. He graduated with a history degree but ran off to Brazil, taught himself marketing, and started landing freelance gigs with a number of different companies in the states. That turned into working closely with a few location independent entrepreneurs who he ended up traveling around the world with, which all led to observations he made about the changing job market and the emergence of entrepreneurship which he wrote about in his book, The End of Jobs. And a ton more. It was a great interview and a fun conversation, so please enjoy, and be sure to reach out to Taylor on Twitter and check out The End of Jobs as well as Get Apprenticeship. If you want more on self-education, handling some of the negative emotions around failure, getting started, and managing going against the normal grain, you should check out my interview with Adil Majid where we went deep on these subjects as well. 1:25 – Introduction and Taylor’s start in business. 19:17 – Taylor talking on “silent-risk”, safe jobs vs. artist entrepreneurship. 25:32 – College pushing graduates into silent-risk scenarios, why we should take smaller risks often rather than taking large risks less often. 33:38 – Taylor on which skills show longevity in usefulness vs. skills likely to be outsourced or automated. 37:25 – Taylor on finding creative work, measuring your skill longevity. 38:45 – Taylor speaking about grades and correlation with heuristic skills. 39:58 – Speaking about going back to college knowing what he knows now, whether or not to focus on getting good grades compared to focusing on side projects and networking. 43:58 – Taylor’s recommendations on getting out of the silent-risk scenario. 46:37 – Taylor’s advice on students getting an apprenticeship for their skill. 48:19 – His steps for entrepreneurial-type goals and becoming self-supporting. 55:18 – Recommendations on getting over the hurdle of beginning entrepreneurship obstacles. 58:28 – Taylor speaking on dealing with opinions of peers and parents on taking risks. 1:00:30 – Speaking on ADHD, dissatisfaction and Taylor’s experiences and opinions on it. 1:08:33 – Taylor’s book recommendations to freshmen at college and in general. If you enjoyed this episode, don’t forget to subscribe and leave a review in your favorite podcasting app by searching Nat Chat!